Saffron Events UK, offering a one-stop wedding planning service, has a wealth of experience in creating exclusive wedding packages. 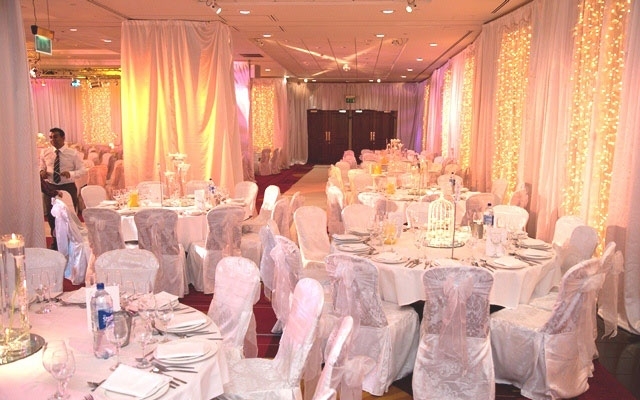 At Saffron Events UK we understand the amount of planning required to turn your dreams into reality. That's why every aspect of your wedding day is taken care of; from securing a top location to inviting the guests, organising the entertainment to the wedding cake & favours, and of course providing the absolute best in catering. 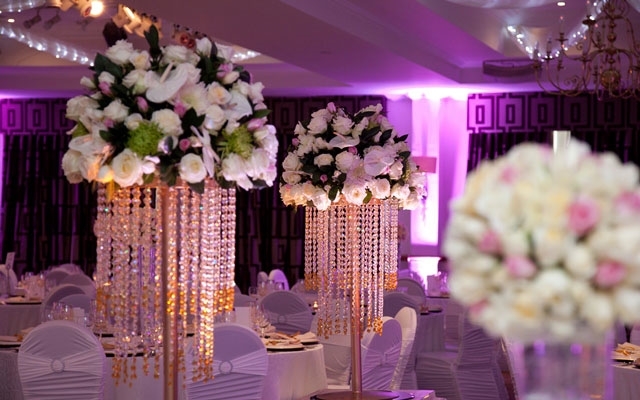 Our experienced event managers with their exceptional organisational skills and great eye for detail will ensure that your celebrations run to perfection and exceed all of your expectations. 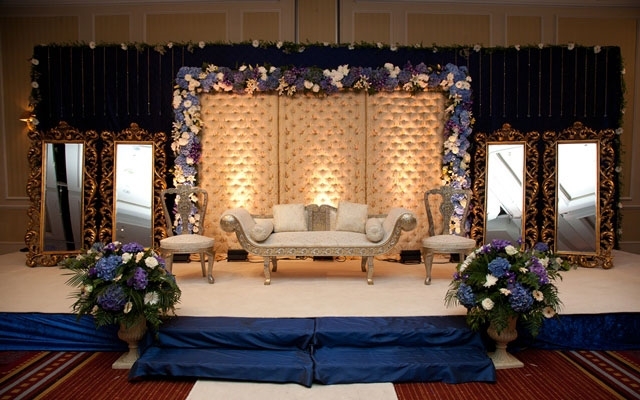 The most important feature of a wedding is an impressive wedding stage. Being the centre of attraction, all eyes are drawn towards this focal point. 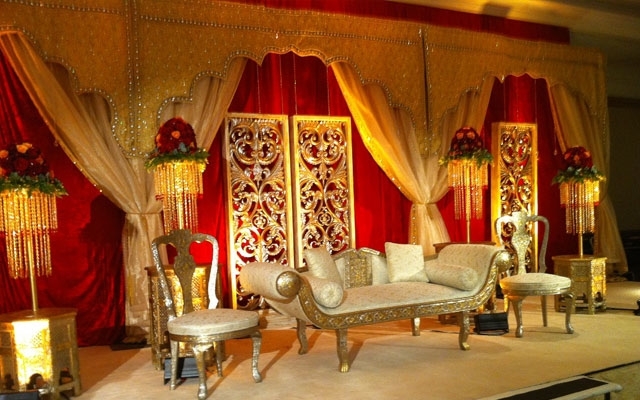 Our lustrous silk backdrops are reminiscent of a royal splendour taking you back to an exotic ambiance of a royal palace. Our bespoke themeing service can transform your wedding venue from an empty shell to your dream setting. The theme can start from the bride or groom's own concept or outfit and will flow across the venue from the dressing of the stage to the choice of table centrepieces, linen and accessories. 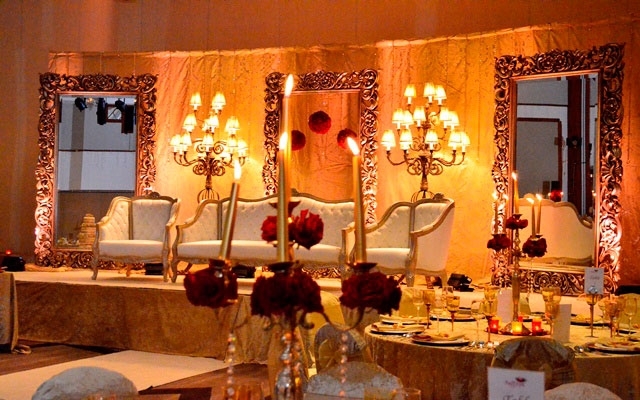 Our latest themes include Venetian and Baroque, Crystal, Moghul and Winter Wonderland. 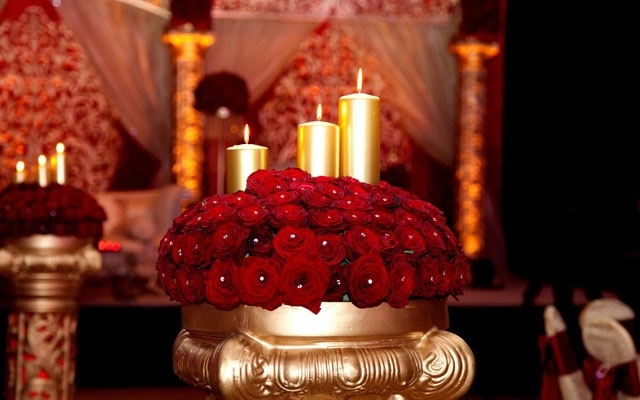 Whatever your choice, the end result will be sure to mesmerise your guests and guarantee a plethora of compliments. Every bride and groom is unique and with this in mind we ensure that your wedding reflects your individual personality, tastes, style and budget. No two wedding packages are ever the same - our bespoke packages are tailor made to suit your individual requirements. 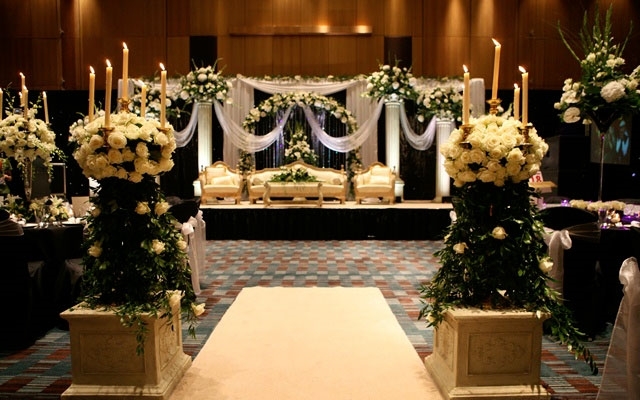 Let us create the wedding of your dreams…. We would just like to say thank you for making our day memorable and with with all your hard work our big day our dream day that came true. 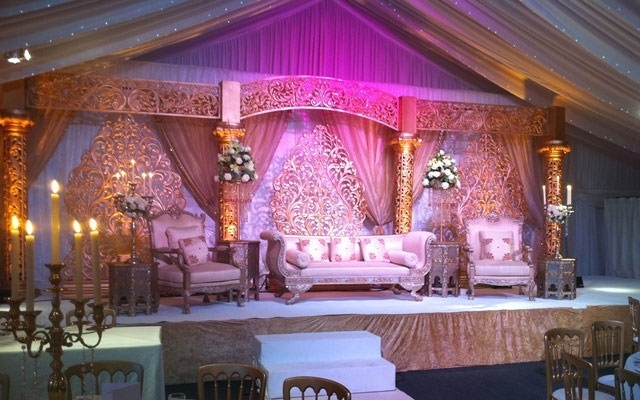 The Khushi family have engaged the services of Saffron Events UK over a number of years for large formal functions as well as family events and have been delighted with the quality and standard of service they have provided. Thank you very much for all the event preparation and execution of the walima of Izhar & Shamsa. The catering, food, service was greatly enjoyed and appreciated.